In August of 2009 I wrote about how I couldn’t afford to let my child choose whatever candy they wanted from the gas station because I literally only had less than $2. All of our credit cards were maxed out and we could barely make the minimum payments. It forced us to become used to living within our means after living outside of them for so long, but our troubles were far from over. In fact they were only just beginning. “I went to bed [that] night thinking about my experience earlier in the day with my daughter at the gas station. We walked there to get my wife a coke, but had some ‘extra’ money to get her some candy. When we walked through the candy aisle, she started looking at the bags of candy on the left and I looked at the money I had. I had to bend down and tell her that she could only look on the other side of the aisle, in a section in which I could afford to buy her something. In bed that night I started thinking how much more awful it would be to do similar things in the future to clothes she’ll want to buy, trips she’ll want to go on with friends, etc.. In 3 months I’d be living at a friend’s house in a spare bedroom, and I’d be a month away from losing my house. The tires on my car were so bad no one would change them unless I bought all four at once, which I couldn’t afford. Since they didn’t think my car was safe I didn’t feel comfortable picking my kids up to go anywhere. 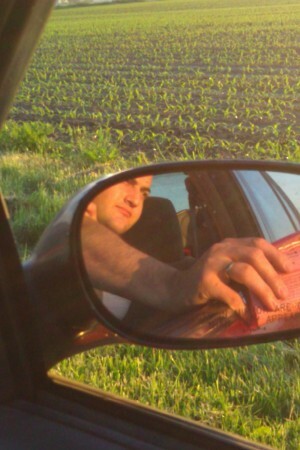 I ended up selling my wedding ring to fix my car because I didn’t know if my wife would give me any of my money from the paycheck deposited in the bank account she controlled. She blamed me for the state of our marriage, for the mortgage going unpaid, and for her inability to get a job. And she was right. A lot of it was my fault. I chose to go to college, incur huge amounts of debt, get married, have children, buy a car and home I couldn’t afford, and take whatever job came my way. I didn’t have a plan and I wasn’t being a leader. I was a loser and I had lost. In How to Work a Life of Purpose I reference this period in my life as one of only two times I’ve worked hard to overcome something, “[I] wanted to get caught up on back-mortgage to keep from losing the house so I got up every morning at 3AM for 10 months straight to raise the money. I went through 2 flat tires, 2 visits to the brake shop, and got stuck in the snow twice, but we kept our home,” but I also worked hard to repair our marriage, which has remained strong since. Working a day job was starting to wear on me and 2 years after writing about the candy aisle I quit my job to run my own business, which I had been building on the side for 4 years. I ran it successfully for another year and a half before calling it quits and going back to a day job. One of my biggest clients hired me on full-time to continue doing what I do best: IT consulting. We are still not using credit cards and I still drive the same car I drove in 2003. I now have four children and another one on the way. I have strong opinions on management and believe that there are big ideas “no one claim yet”. I’m continually looking to the future and am happy to report that even though I can now afford to let my children buy candy from either side of the aisle, that they still only get candy from the right side and the thing that always mattered most was the time we spent together and the love we had for each other. As I sit here drinking Yogi green tea I can’t help but think of all the people who don’t know anything yet. These are the people who were born yesterday, the ones who still haven’t heard about Reddit or still believe in Santa Claus. This isn’t a completely exhaustive list, but it’s the stuff that people kind of forget to tell you growing up because they expect you to know it. Take it all with a grain of salt*. Moss grows on the north side of trees because the sun rises in the south. This creates shade, which moss prefers. Consequently, a rolling stone gathers no moss because it’s constantly moving and it all falls off. There are lots of things buried under the ground and it gets weirder the deeper you go. Besides the normal gas, water, and electrical lines, there are sewers, subways, secret CIA tunnels, aquifers, and molten lava. Gravestones face east and west and cows eat north and south. This is so people can rise and set with the sun and because of their magnetic compass, respectively. Fire takes three things to burn: fuel, heat, and oxygen. If you take any one of these three things away, the fire goes out. That’s why a fire goes out when it’s out of fuel, get’s dowsed with water, or gets smothered, respectively. 100 years from now no one will know who you are. This used to be more true, but with the Internet’s uncanny ability to make history flat, your great, great, great grandchildren may be watching your Youtube videos. A tree’s age can be determined after cutting across it’s trunk. The trunk of the tree grows a new layer of bark each year and years with more rain and/or sunlight make the rings larger or smaller which gives us indications of the weather. You dream you can fly because your sheets make you think air is thick like water. When you’re asleep, you forget you’re under the covers and when you jump in your dreams, you feel resistance against the ‘air’ and think you can fly. We have been to the Moon and to Mars. Once we found out there really wasn’t anything to do there, we didn’t persue it much. If you think you’d like to go, there’s nothing stopping you going nowadays as long as you’ve got the cash and aren’t too worried about coming back. Banks lend out 10 times what they have on hand. While it is illegal to print money, it is not apparently illegal to lend out money you don’t have. This is how banks make money from money they don’t have. A new bank is called a “de novo”, which means “from the beginning”. Community does more for your health than food, education, money, or DNA. The more plugged into a community of people who care about you and depend on you, the longer you will live regardless of how much fat you eat, what school you went to, how much money you make, or who your parents are. The ‘secret’ ingredient that makes food products most successful is not sugar, but *salt. In a comparison of all major cereals, the ingredient most correlated with commercial success was not sugar, but salt. Coca Cola has more sodium than Pepsi, but not by much. Pepsi does however have more sugar than Coca Cola. Amazon.com started out as an online book store with over 1 million titles. While they now have server farms that power a large portion of the Internet and are the online equivalent of Wal-Mart, they started small in a niche where they could add value – books. Everybody used to talk the same language, lived a lot longer, and were a lot smarter than you. There was a time when we all used to ‘get along’ and live hundreds of years, but that didn’t last too long. And every generation thereafter has a little less of the core DNA and more mutations, which makes us slightly less smart every year. The 14th floor of many buildings is really the 13th floor renamed as the 13th floor. This is because people are superstitious and think that the number 13 is unlucky. This is because there are about 13 full moons a year, but only 12 months! Whoa! Watch out! Numbers and time aren’t real. We made them up. I’m serious. They only mean something because we say they do. You can count in apples and bananas just the same as 1s and 0s. Numbers only serve as variables to denote measurement. They give us a standard language to communicate with. Kind of like they used to have when we lived longer. The universe is more than meets the eye. I’m not talking just talking about spectrums of light and what we can see with our eyes versus what can be detected in infrared, radio, and x-rays. I’m talking about the other 95% of the mass out there that we have no idea what it is. We call it Dark Matter and Dark Energy. Intentions set direction. Look at your toes. Are they pointing towards the door? That means you want to leave. Whatever your intentions, it sets your direction. So spend some time figuring out your purpose in life and what you want out of it before you start to work towards it and your intentions will set your direction. Weddings and babies are both rare and common events at the same time. The amount of things that have to happen just perfectly over time for someone to meet and agree to marry or for a sperm to reach an egg is almost astronomical, yet it happens everyday – several times a day in fact. College probably won’t help you in the way you think. It’s a key – a gateway past an interview process, but most hiring managers don’t actually believe you know much right out of college. It shows you can complete a program and that’s about it. Know this and spend some time learning a skill outside of school. There is more to this life than this life. You probably won’t live in this simulation for over 100 years, but if you do, you’ll probably realize that our solar system is pretty small compared to the whole universe, and there are mysteries you won’t uncover until you figure out what all that dark matter is. But by then it will be too late. I’d encourage you to find the oldest book you can find, one that has the most wisdom, and read it. There is a clue that will help guide you. Let me know when you find it. My dad’s name is Stephen, but he goes by Steve. I used to tell my friends that if you ever saw him running, you had better start running in the same direction because I’ve never seen him run in my life. It’s not that he’s not a fit dude, he just prefers to work out by actually working. One day while standing in line for food at church, a man trying to strike up a conversation asked my dad if he liked sports. He quickly and unequivocally said, “No,” and turned away. Steve has never liked or played sports. He recalls having to write a story about football in elementary school, where he attended a one room schoolhouse in the backwoods of Missouri, “I didn’t know anything about the game other than the field had 100 yards. When I read my story about how the player crossed the 50 yard line, then the 55 yard line, and so on, everyone started laughing at me and I was humiliated.” His humiliation didn’t stop at school. They didn’t have running water at home so in addition to the use of an outhouse, he had to take baths in a metal wash basin in the middle of the kitchen next to the wood stove. Steve must have seen technology as a way to escape the trappings of rural life in the 50’s and 60’s and as a way to differentiate from the jocks who mocked him. He gravitated towards the only tech he get could at the time: the wood and machine shops at school. By the time my dad entered college, he had built every piece of living room furniture they owned, turned their back yard into a junk yard of stripped cars, and graduated at the top of his class. At college, Steve worked on airplanes in the Aircraft & Powerplant department. His favorite professor was Doc Swiger, a aircraft mechanic and theory instructor. Doc was an old, single, Navy veteran who didn’t go to any “marryings or buryings”. Doc would let Steve work on pet projects in the lab after hours. One of his projects was rebuilding a old tail-dragger Piper Cub airplane, which Steve then got to fly in. 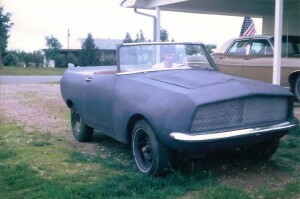 They also overhauled and repainted an old Volkswagen bug, which Doc loaned to Steve. It was in this car that my dad took my mom out on their first date to a park in Kansas City near the river. My mom made chili and on their way back they attended evening service at the church where they met. My mom credits Steve with her being able to pass the Physics class they had together. Steve had already finished his 2 year Associates Degree in Aviation technology, and was continuing with classes to complete his B.S. degree in Power Technology. He wasn’t confident in his ability to get a 4-year degree so he got his 2-year degree first. After graduation, he worked as an airplane mechanic for 3 months before getting a call to apply at General Motors in January, 1976. Steve started working on the assembly line in the paint department under his father-in-law, Don. By this time, Don had worked long enough to have lost his sense of smell. 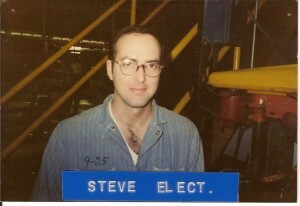 Soon, an electrician position opened up at GM and Steve moved into that position. His first year at GM he and his wife house-sitted Don’s house out in Garden City during the week. In 1977 there was an oil crises in America and it was actually cheaper to buy a home closer to work than to pay the gas to drive an hour away. Don and his wife bought a house in Kansas City and Steve carpooled with Don’s brother, Bob. My dad still complains about Bob’s “on or off” heat policy in the car anytime someone doesn’t slowly adjust the temperature because of Bob’s habit of either turning the heat full blast or completely off. Living rent free and carpooling to work allowed my parents enough time to save up a down payment for their first house, “The White House”. That’s the house I was born in. They planted fruit trees in the back yard, had a vegetable garden, and cultured African Violets in the basement. Steve joined a woodworking club and enjoyed carving old men smoking pipes while sitting on a log. He would take us to the park and just sit on a bench while me and my brothers dug in the sand with the ride-on excavators. In 1984, my parents moved into what we called, “The Brown House”. It was a 5 bedroom, 3 bath, 2 story with a split level entrance and a 2 car garage. When it rained the basement would flood because the backyard was sloped towards the house. Steve spent a summer digging a ditch around the house to divert the water and the flooding stopped. He had so much success, he convinced our church that he could help their flooding problem too. He dug ditches all around the church, diverting water away from the foundation, preventing it from flooding the basement, whose walls were yellow with water stains. He also changed light bulbs in the sanctuary and gymnasium, replaced air filters in the giant furnaces, and added more circuits to the antiquated electrical system. Whenever the church would have get-togethers in the gym, he would make me and my brothers setup and tear down chairs and tables. Steve also ran a Young Married class with my mom. One day they took their class out to Don’s farm where they had a scavenger hunt. I remember the two-flavors in one Bubble Yum gum I had in the back seat of the car on the way down and the gummi bears we found at the end of the hunt. My brother’s and I asked our dad for a tree house until he eventually built one. It was more like a small house in the sky where he hung a porch swing underneath. He also helped us with our Pine Wood Derby cars, which he used to teach us about aerodynamics and friction. With his help we shaped our pine blocks into airplane wings for efficiency and sprinkled graphite on the axles for speed. We won every race whether you ran them frontwards or backwards. But if you have ever done a race, you know that each car is weighed before racing. If it’s not within a certain range, it can’t run. The problem was that each person’s scale was different and the scales that were used were carried around, making them inherently less accurate. We would either have to physically shave wood off the car before running or install bolts to add nuts for weight. This frustrated my dad because the cars were often painted and shaving the car would ruin the paint job and adding bolts would increase drag. Eventually, my dad came up with a solution to fix the problem. He carved a hollow area on the inside of the bottom of the car, filled it with some BBs, and held them in with a metal plate. If the car was too light or too heavy, he could add easily add or remove them, while keeping the car pristine and slick. In 1988, my dad was laid off when the GM plant in Kansas City closed down and he was relocated to the GM Indy stamping plant as a journeyman electrician. About a year later he accepted the job within the plant as second shift Electrical Controls support, a per diem job. Sometime before 1996 he had to make the decision to go back to hourly electrician, or to become a salaried Controls Engineer. Deciding was a struggle for him, leaving the perceived security of the UAW union and contracts to the whims of GM towards the salaried workforce. Steve chose salary, but always wondered if the hourly would have been better. One day he was working on a stamping robot, which moves up and down, transforming a sheet of metal into a car door. 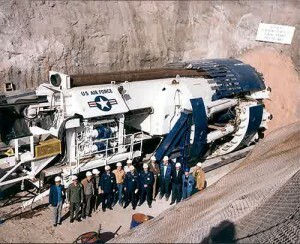 For this particular problem, Steve had to go inside the machine, where the metal sheets went, in order to do the repair. A good electrician will always put on a public lock and his personal lock on a machine before attempting any repairs. This is meant to prevent any accidental injury that could occur if the machine were to become operational during a repair. On this day, a fellow employee came by and needed to start up the machine. They removed the public lock and his personal lock and started up the machine. When Steve heard the machine start, he grabbed his tools and dropped down into a safety hole, narrowly avoiding being crushed. He never told his wife. In 1994 my parents moved to a home in Franklin and began a passion for landscaping. By 2002 they had transformed a blank canvas into inviting paths, ponds, and gardens and had the opportunity to feature their back yard in the Johnson County Glorious Gardens Tour. Steve was approached by many friends saying, “Could you come to our house and do something with our yard?” so they started their own landscaping business. Steve does most of the landscaping and my mom deals with the customers and the paper work. He did this in the morning before working a full shift at GM in the afternoon until October 2009 when he retired after 32 years.